When Musco’s lighting system with an LED light source turned on for the first time illuminating the East Span of San Francisco’s Bay Bridge, it was more than a historic moment. It represented three years of dedication, innovation, and customization by the world’s leading visionary in lighting solutions. Musco developed a customized lighting solution around the evolving LED light source to meet the meticulous performance and aesthetic requirements for the bridge. 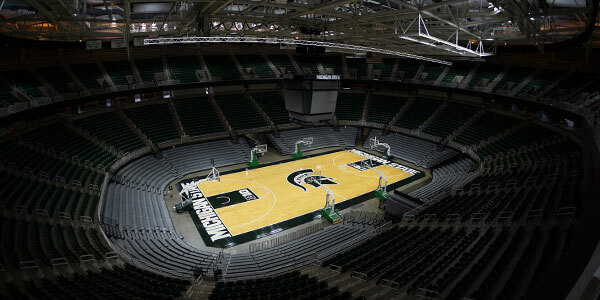 Musco’s team of engineers built a mock roadway matching that of the bridge to simulate the lighting design and performed several on-site demonstrations and tests to ensure that each of the more than 1,600 light fixtures and 51,500 LEDs were perfectly aimed. 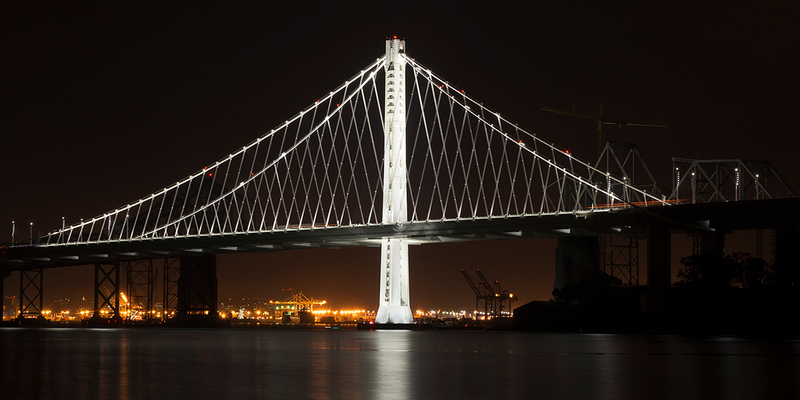 When the East Span opened on September 3, 2013, Musco brought to the world an unprecedented achievement in terms of lighting quality and precision. For the more than 300,000 drivers who cross the 2.2-mile bridge every day, they would enjoy a safer driving experience thanks to the uniform light distribution and virtual absence of glare. 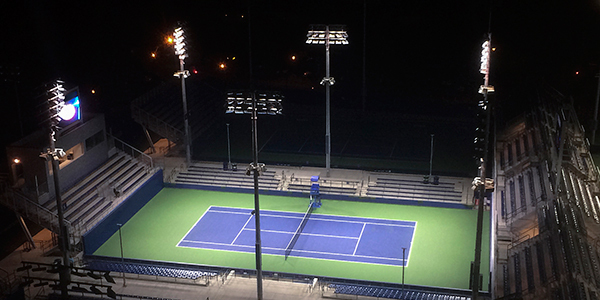 The long life of the LED light source and Musco’s industry leading long-term warranty eliminates maintenance. And with the revolutionary system in place, total energy consumption is reduced by 50 percent compared to a metal halide system.